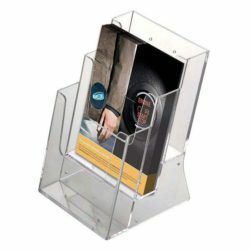 Highly resistant plastic brochure holder. Dispensers can be screen printed with corporate logo. Our products are made of the finest materials while providing the highest level of quality and clarity. 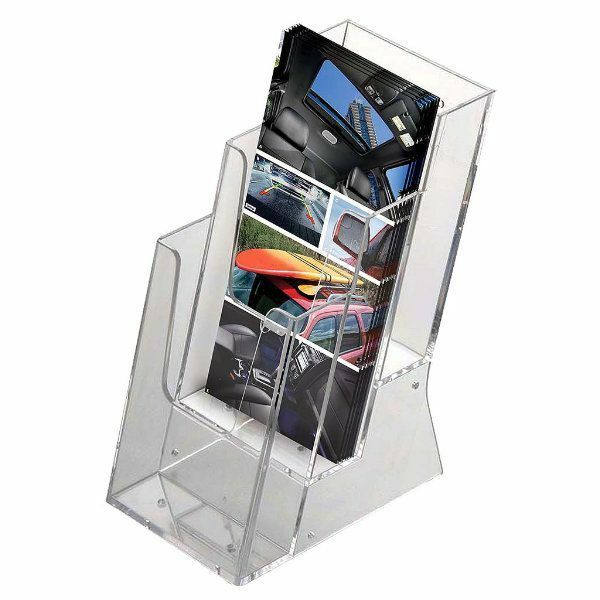 COUNTERTOP BROCHURE HOLDER Our Three Tiered Brochure Racks are highly resistant plastic brochure holders. 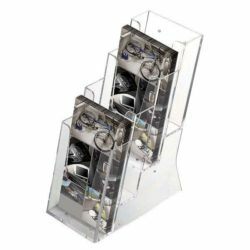 These tabletop displays are made of the finest materials while providing the highest level of quality and clarity. 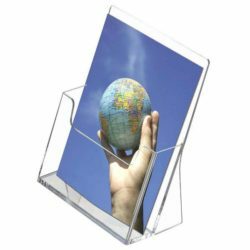 This three tiered tabletop display has ideal size with it’s 8.7″ height and 4.4″ width overall. Each pocket is suitable for 4″ x 6″ pamphlets. Each tiered step is 2″ higher than the one in front of it allowing each title to stand out and passersby to easily receive brochures from the plastic brochure holder. Place this tabletop display on the counter or your table and see how noticeable it is. 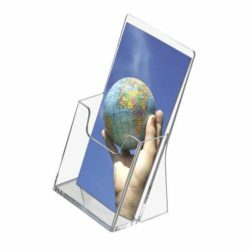 A great way to display your brochures at low price!